Out with the old and in with the new. How the Scottish government must wish that as 2018 begins, this traditional old saying could apply to Police Scotland. But on January 10, in the first week of parliamentary business, the justice minister, Michael Matheson, was called on to make yet another statement on Scotland’s beleaguered national police force. Just before Christmas he was defending police use of tasers. This time, however, it was personal. 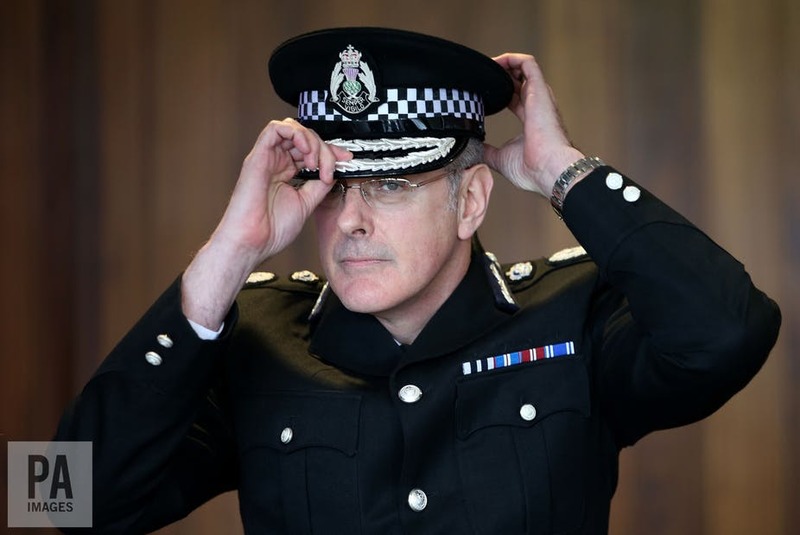 It was revealed via the release of several letters on Christmas Eve that the minister had intervened in the business of the service watchdog the Scottish Police Authority (SPA), to prevent the return to work of the chief constable Phil Gormley in November. Gormley, in post since January 2016, has been on “special leave” from his position since September last year following five staff complaints over his behaviour, and was being investigated for potential gross misconduct. The SPA board had met and unanimously agreed to allow him to return to work – until the justice minister was informed. The minister then raised concerns at a meeting with the outgoing chair of the SPA Andrew Flanagan – which was not minuted – and the board subsequently overturned its position. Gormley is still not back at his desk. The trouble with this, apart from the obvious problem of the government determining who the top police officer in the country should be, is that the minister had no formal authority to do this. In legal parlance he seems to have been acting ultra vires: beyond his powers. In extreme circumstances the justice minister could issue a written request for the SPA to overturn a decision which would be presented to parliament – this was not done in this case. In an unapologetic speech to Holyrood, Matheson claimed he had to raise his concerns over the lack of ‘due process’ adopted by the SPA. In particular, the SPA had not contacted the body investigating the complaints against Gormley – the Police and Investigations Review Commissioner (PIRC) – nor had it informed any of those who had raised complaints. As a result Matheson concluded that the SPA had acted in a “completely unacceptable” way. Such arguments in defence of a fair hearing and protecting staff seem to have a degree of legitimacy and may have ensured temporary political survival for Matheson. There certainly seem to be issues about the leadership of Police Scotland. As well as the Gormley situation, an assistant chief constable was also suspended in November for alleged criminal behaviour which is now being investigated. But it would be unusual for a government minister to involve themselves in the minutiae of any other employment dispute or managerial appointment in other public services. Would the same interventionist attitude be displayed towards an NHS Trust Board or the governing body of a Scottish college or university? The fact remains that the issues surrounding the chief constable’s leave and how it has been handled are nothing to do with the government. This is why the structures introduced in 2011 gave this power to the nationally appointed SPA. There is actually less of a case for the police to be subject to government intervention than in other spheres of the public sector because of the specific powers the police have in our society. There was a stark reminder of these powers in December when the acting chief constable, Iain Livingstone, announced the decision to give 500 officers access to tasers (doubling the number in Scotland) and increasing the use of armed police for non-firearm calls. This major decision was presented to a meeting of the SPA almost as a fait accompli – even though the body is meant to be the watchdog for the Scottish force and these decisions could fundamentally alter policing. As well as having access to weapons, Police Scotland alone has substantial powers to arrest, detain and search any citizen in the land. In fact at the end of this month the Criminal Justice (Scotland) Act 2016 will come into force – bringing all these powers together in an act of parliament for the first time. Such power needs to be handled with care. This means the accountability and governance structure of a police force is key if policing is to be done by consent. The ability to take away people’s freedoms and, in very specific circumstances, use lethal force means there must be clear distance from government interference. Freed from his responsibilities of office, Kenny MacAskill, the former justice minister and major architect of the national police force, has openly called for Gormley to be removed while promoting his favoured candidate for the role, acting chief constable Iain Livingstone (who rescinded his retirement to take the helm). This would be unacceptable for the Scottish Government itself to do. Yet it is not about personalities. The problems of Scottish policing stem from the structural changes made when the national police force was introduced in 2013 by MacAskill. It went against the grain of local policing in Scotland. By removing all elements of localised accountability, the enhancement of power of senior officers in Police Scotland and the ability of the Scottish government to intervene in policing looked inevitable – and indeed that is what has happened. Ironically, the SPA board criticised by Matheson for its handling of the chief constable situation was actually appointed by the Scottish Government and it has not escaped its own existential crisis. In December 2017 Flanagan was replaced as chair by Professor Susan Deacon, an experienced former government minister and academic, after he resigned due to criticisms over his conduct and lack of transparency. Yet the machinations over the chief constable are not the only issue she will have to deal with. A report by Audit Scotland of the SPA’s overseeing of the policing budget made for shocking reading. The use of public money has been deemed “unacceptable” by the auditor general. This included approving £120,000 for relocation costs for a new senior officer and approving a six figure pay-off for an employee. As 2018 begins, policing in Scotland is in crisis: no chief constable, a justice minister facing political and legal challenges over his behaviour and a national police authority forced to re-establish its reputation and define its role. A close examination of the structures is urgently needed if this crisis is to be resolved. I agree with this fair and balanced article. One of the great dangers of a single national force was that it would be, or be seen to be, a tool of the Government. Michael Matheson’s actions have strengthened that concern. One further suggestion. Is there not a case that bodies like the SPA should be directly accountable to the Scottish Parliament, perhaps through a Committee ?